I wondered why there appeared to be only one scheduled public advance screening of “The Amazing Spider-Man 2” before today’s release. I’m completely at a loss for words. I honestly don’t know what to say about “The Amazing Spider-Man 2”. I keep hearing that old saying “if you can’t say anything nice, don’t say anything at all”… I hear ya grandma. I enjoyed Jamie Foxx as Electro. He didn’t get enough screen time but he was a good villain. 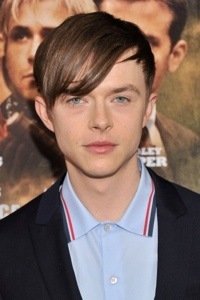 Dane DeHaan as Harry Osborne. Those eyes are more piercing than a dagger through the heart. Those eyes had me more distracted than his performance and is it me or does he have a little young Leo DiCap vibe going on? I am amazed at how un-amazing this movie really is. Seriously, I’m stunned. I had such high expectations. My son and I were filled with such anticipation. He’s 12 and he nodded a few times during the movie, which is never a good sign. There were a few cool scenes but basically the movie is slow moving. 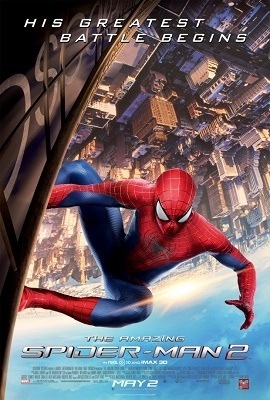 It’s not a bad movie but when you’re expecting web slinging action, slow = boring. “The Amazing Spider-Man 2 is the hottest ticket opening this weekend. And I’m sure it will top the box office but is it worth the big screen? If you are a loyal movie watcher, fan of the Marvel Comic franchise, GO check it out on the big screen. Don’t forget to catch the Stan Lee cameo. But quite honestly, with this sequel, you could wait for cable. Posted on May 2, 2014 May 2, 2014 by Denyel ReedPosted in Movie ScreeningTagged Dane DeHaan, Harry Osborne, Jamie Foxx. Previous Previous post: Quick Views: Hot Male Edition!